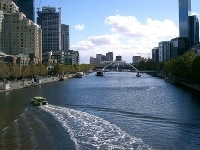 The second largest city in Australia, Melbourne is brimming with a wide variety of attractions to enthral just about every kind of traveller. 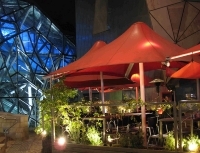 Whatever your taste or interest, there is bound to be something in Melbourne for you. Art lovers will enjoy the National Gallery of Victoria; history buffs will relish touring the Old Melbourne Gaol; and culture vultures will love exploring the Chinese and Melbourne Museums. Those with a fear of heights should steer clear of the Eureka Tower, but thrill-seekers will be in heaven on the 88th floor of Melbourne's tallest building, which offers breath-taking panoramic views of the city. Children of all ages will love the Melbourne Zoo which boasts more than 350 different species of animals, and a day in the Royal Botanical Gardens is not to be missed. Visitors keen on sightseeing will do well to purchase one of the iVenture Cards specific to Melbourne, all of which can lead to huge discounts on attractions and tours when used extensively enough. The cards come in several different categories and can be purchased online.